USDA ORGANIC CERTIFICATION: We find there is a great deal of misinformation on this subject. Certainly we feel that some kind of regulation is a great step in the right direction. However, it is our experience that even USDA certification is often subject deceptive marketing practices. As it stands right now, in order for a product to be organically certified, it must be 93% chemical and pesticide free, ingredient wise, all of which must have been grown on US soil. This means that a USDA certified "organic" product can have up to 7% chemicals or adulterants. This is unacceptable to us, as it can, and does lead to an abuse of the system. Here at PuraVedaOrganics, we have ZERO tolerance for chemicals, pesticides, petroleum, GMO's, or any other thing you don't want on your body. Further, because we use many Ayurvedic ingredients not grown on US soil, we source our ingredients from Fair-Trade environmentally sustainable reputable brokers the world over. Many of our botanical plant sourced actives come to us are sustainably wild-gathered from remote areas, by indigenous local harvesters who help support their families in this traditional way. We work hard to ensure that our products not only meet our customer expections, but also to do our part to make the world a better place. This includes not using any ingredients which have been tested on animals. Many products use the 'cruelty-free' seals, but they are only stating that the product itself, not the component ingredients have not been tested on animals. We then make them by hand in small batches in our production facility here in Asheville NC, where they are then packaged with glass and recyclable PETE plastics and shipped directly to you. We have consistently refused invitations to export to countries who require animal testing of individual products and will continue to do so. Are your 'wild-gathered' ingredients sustainable and free trade? A) Most of our wild-harvested ingredients literally grow wild, and cannot be grown on massive plantations; (or in the USA for that matter) and as such are not subjected to pesticides and synthetic fertilizers. 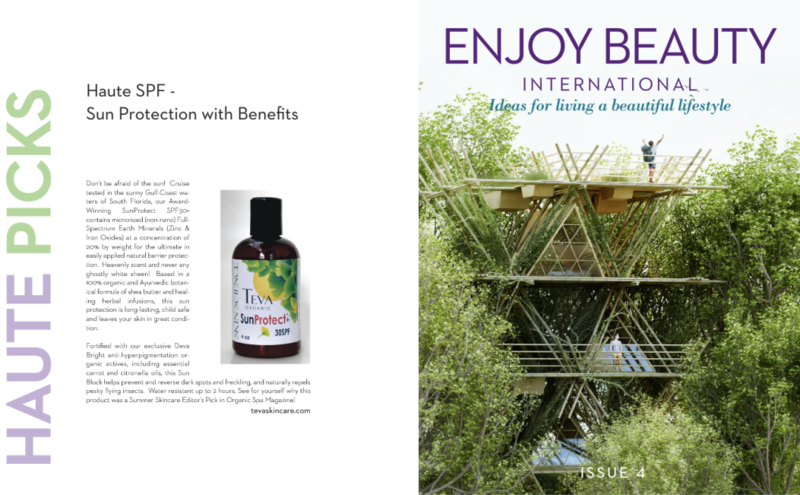 They are hand gathered in remote regions globally, and brokered through responsible all natural ingredient suppliers. Some of our non-USA ingredients are grown on small family farms which have been sustainable for generations under Fair Trade rules. Please see our ingredient glossary for sourcing information. Price Premium - a percentage above the base fair trade price is paid into a separate account for development projects in producer communities. Working Conditions - Fair Trade operators must adhere to basic human and labor rights - including the right to organize, no child labor, access to health care, and so on. Environmental Stewardship - Fair Trade organizations must minimize environmental impact. In it's simplest terms, a 'Dosha' is one of three body types according to ancient Ayurvedic medicine. The dosha system encompasses every aspect of that body type, including recommendations for diet, extercise, rest, herbs, skincare.. and so forth. For our purposes, we'll keep it pretty basic and only address your skin type dosha. 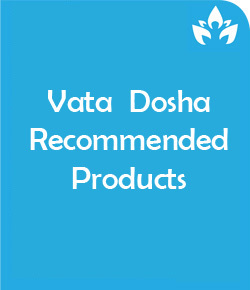 The first dosha we'll address is called 'Vata'. Vata type skin is typically thin and fine, almost poreless, but prone to being dry and rough and ages faster than other types.
' 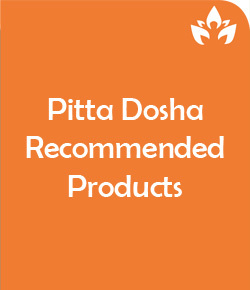 Pitta' dosha refers to skin that is thicker than Vata, but also has a tendency towards redness & freckles, as well as being very sensitive and allergy prone, and is often plagued with rosacea, adult acne, psoriasis and eczema.
' 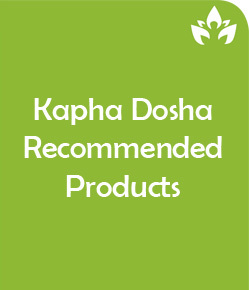 Kapha' dosha is the thickest skin type and ages the slowest, but is also prone to being oily, and having enlarged pores. Kapha types can also suffer acne eruptions and breakouts. At PuraVedaOrgnics, all our products are based in this time tested Ayurvedic skin care system, using all organic and/or fair-trade sustainably sourced wild-gathered botanicals (which we steam extract in house) and essential oils. The most exciting part of all this is that modern science is daily proving the efficacy of these time-tested ingredients in laboratory settings! In the upcoming weeks and months, we will be bringing you regular blog posts detailing each and every ingredient we use, why we use it, where it comes from and what it can do for your skin. We are building an interactive glossary for easy reference on our new website at www.puravedaorganics.com so you can refer back to it anytime and see which products have the ingredients best suited to address your unique skin care challenges. How do I determine my Ayurvedic Dosha? What's the difference between Ayurvedic and Western Skin Care? At first glance it would seem that these systems are as far apart philosophically as they are geographically, but closer inspection shows us this simply isn't true! Western scientifically based skin care (the effective kind anyway) is proven by lab based research, and is a relatively modern phenonmenon.. whereas Ayurveda grew out of centuries of shared compiled observation of what works and what doesn't for various conditions system wide. Ayurveda takes this a step further by classifying people into three different physical genotypes which encompass almost every aspect of their being. These types are Vata, Pitta and Kapha. For the purposes of skin care, you can read more about these types here. To learn more in general (it's a huge subject!) the Internet has tons of great info. However, these three types fit nicely into the 'Dry/Normal', Sensitive, Blemished & Rosacea, and Oily, large pored skin types that western skin care also recognizes. What excites us most here at PuraVedaOrganics is how western scientific double-blind studies are proving the efficacy of centuries old herbal/botanical lore handed down by the founders of the Ayurvedic tradition. Every one of our ingredients has proven skin actives both by Ayurvedic tradition and western science. We feel that is truly the best of both worlds! Is your SunProtect SPF30+ waterproof? With summer upon us, most of us pack up for a day at the beach or the pool, and dutifully grab a bottle or two of our sunscreen(s) of choice. But you might want to think about what exactly factored into that choice? Was it price? Or convenience? Or maybe it was an ad in a magazine or a billboard. But.. Let's be clear. All sunscreens are definitely NOT created equal! Think about this... your skin is your largest organ who's main function is not only bodily barrier protection and system cooling, but is also your largest organ of elimination and uptake. And what you put on your incredibly precious skin really does matter! Have you turned your bottle of sunscreen around and looked at the ingredients on the label? This is something most people neglect to do and yet is the single most important information about any product we put into or on our bodies. You see, that unpronounceable chemical stew often contains a lot of stuff that literally gets into, and even under your skin! Depending on permeability and particle size, some of these scary toxins can even make it to your bloodstream, and get transported throughout your body. Once upon a time even I (considering my line of work) never gave much thought to sunscreen.. beyond it's ability to prevent a burn, but a life-threatening allergic reaction to a 50+ SPF baby! sunscreen on the part of my 8 y/o son (applied by a well-meaning camp counselor) changed all that. The fact is, most commercial sunscreens contain some extremely questionable ingredients, many of which have been implicated in certain cancers. This is too big of a topic to cover in one small blog, but if this topic interests you, don't take our word for it..begin doing your own investigative research. (SkinDeep.com is a good place to start). Our own research led us to develop our SunProtect SPF30+, which is 100% non-toxic and all-natural mineral barrier protection. We are proud to say you will be able to pronounce and understand every last ingredient on our label! With a concentration of over 20% micronized (but NOT nano-particulated) Zinc Oxide, when applied consistently and allowed to dry before getting in the water, this is the safest, most effective sunscreen available. Utilizing micronization, we have overcome the problem of diaper rash ointment like pasty sunscreens that leave you looking like a ghost. With skin nourishing shea butter and steam distilled essential oils and soothing botanicals, our SunProtect is actually good for your skin, leaving it in better condition after a day poolside than before. Stay tuned for Part 2 of this topic coming later this week to find out more about why PuraVeda Organic's SunProtect 30+ keeps winning awards and editor picks! Does your SunProtect SPF30+ contain nano-particles? In a word: NO! The Long Answer: Nano particles are micronized (crushed) Zinc Oxide to the point that they are small enough to cross the skin:bloodstream barrier. The consequences of this are still unclear, but certainly not desirable. This is why non particulation of Zinc Oxide in Sunscreens has been banned in most countries, but unfortunately not here in the USA. Many sunscreens containing the word "ZinClear" are still being sold here with the long term health consequences being unknown. We do not find this acceptable. Here at PVO we have experimented with amounts from 15% to 24% and have settled at 20% as being the most effective without causing difficulty in application. Ie; the 'ghostly' white sheen which is often cited as the reason many people resort to chemical sunscreens. Our products are never tested on animals and our component ingredients have not been tested on animals. Period. Why don't you have the leaping bunny seal? Most of the major certification seals are quite expensive and do not always tell us the truth about the product. For instance, many companies who have bought a "Leaping Bunny" seal do not disclose the fact that their component ingredients have been tested on animals. Many countries, (such as China) require animal testing. For that reason, we do not wholesale or retail in those countries. Why are your products so small? Why do you use Potassium Sorbate in your products? Many people in their quest for 'totally natural' products become upset at the idea of any sort of preservatives, but honestly, this is just not smart! Especially when it comes to a natural preservative such as Potassium Sorbate. Our P/S is sourced naturally from birch bark, but P/S itself is a natural component of many fruits and vegetables that we eat on a regular basis. The lack of any sort of preservative agent, whether natural or not, is actually quite dangerous. Very few of our products are contained in an open jar, as this can lead to finger contamination, where all sorts of bad bacteria and dangerous fungal overgrowths can happen. Remember that botulism is 'all natural' too! Are all your ingredients disclosed? Yes, 100% from greatest to least as per FDA regulations. Can you explain the differences in your serums? Our 'flagship' serum is our BioScience Peptide Serum, and as the name implies, it's primary function is to infuse your skin with peptides and peptide co-factors (naturally sourced vitamins and botanical infusions) that increase the wrinkle-reducing efficacy of the 2 primary (argireline and matrixyl) "topical Botox" peptides. For people under the age of 35-40, we recommend either our SBR (sensitive skin) or ReJuv Serums which are meant to add extra moisture as needed as a followup to the peptide serum, as too many moisturizing ingredients compete with peptides for receptor space deep in the skin. By using moisture serums after the peptides have penetrated deep into the dermis, we get the best of both worlds. Our Collagen Boost serum is a more highly concentrated after serum designed for the older, more mature skin that needs more Collagen regeneration. Our Aloe Eye serum is a light daytime serum, designed specifically for the delicate tissue around our eyes, as is our roll-on Eye Line Prevention Serum, but is meant for an overnight wrinkle therapy.